There is no denying that Tesla’s goals for the third quarter of 2018 are ambitious. After achieving its then-elusive goal of producing 5,000 Model 3 per week at the end of Q2 2018, Tesla immediately set its sights on a bigger target. 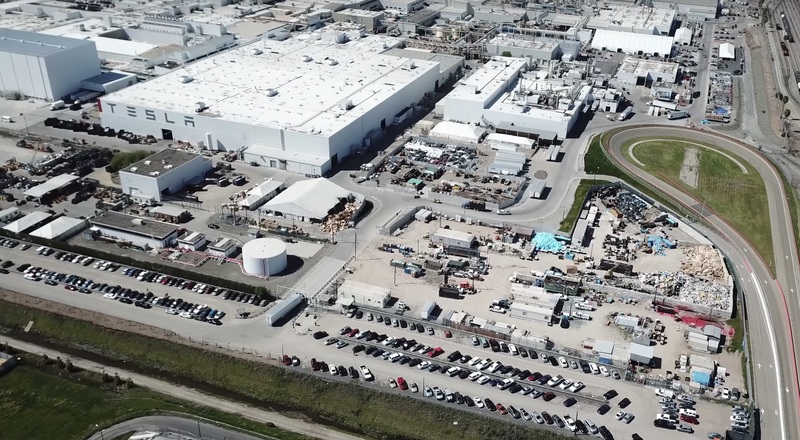 In terms of Model 3 production and deliveries, Tesla noted that it was aiming to manufacture and deliver more than 50,000 units of the electric car in Q3 2018. If Tesla’s ongoing delivery blitz is any indication, it appears that the electric car maker is attempting to deliver as many vehicles to reservation holders as possible before the quarter ends. This weekend alone, Tesla opted to accept help from volunteer owners who offered to assist in deliveries by conducting new customer orientations. Elon Musk later noted on a Twitter post that Tesla is now in the process of building its own car carriers to help address bottlenecks in the transportation of electric cars from the Fremont factory to delivery centers across the United States. Amidst Tesla’s delivery blitz, Goldman Sachs analyst David Tamberrino, a known skeptic of the electric car maker, issued a somewhat positive estimate about the company’s delivery figures this third quarter. While Tamberrino maintained his Sell rating on Tesla, and while he kept a conservative $210 price target for TSLA stock (NASDAQ:TSLA), he stated in a recent note that the electric car maker would likely deliver 27,500 Model S and X and about 52,000 Model 3 in Q3 2018. The analyst further noted that Tesla’s deliveries would likely exceed his estimates, considering that the company had more than 11,000 vehicles en route to customers at the end of Q2. Production-wise, the Goldman Sachs analyst stated that he expects Tesla to meet its Model 3 production target. Tamberrino did note, though, that Model 3 production figures will likely be on the lower end of Tesla’s 50,000-55,000 range. Tamberrino also stated that while the Model S and X delivery cadence is below the numbers implied by the company’s guidance of 100,000 units per year, Model S and X figures this Q3 will likely be better than FactSet and consensus estimates. Tesla is a newcomer in the US auto industry, and as such, it still has a lot of learning to do before it masters the auto business. While the company is still pretty much in startup mode today, its growth over the past decade has been remarkable. Exactly ten years ago, for example, Tesla was still a struggling electric car maker that has only been able to build 27 units of the original Tesla Roadster. By the end of September 2008, Tesla completed three more vehicles, producing a total of 30 Roadsters. This year, Tesla is expecting to deliver 100,000 units of Model S and X alone. As of writing, Tesla stock is trading up 0.15% at $300.13 per share.